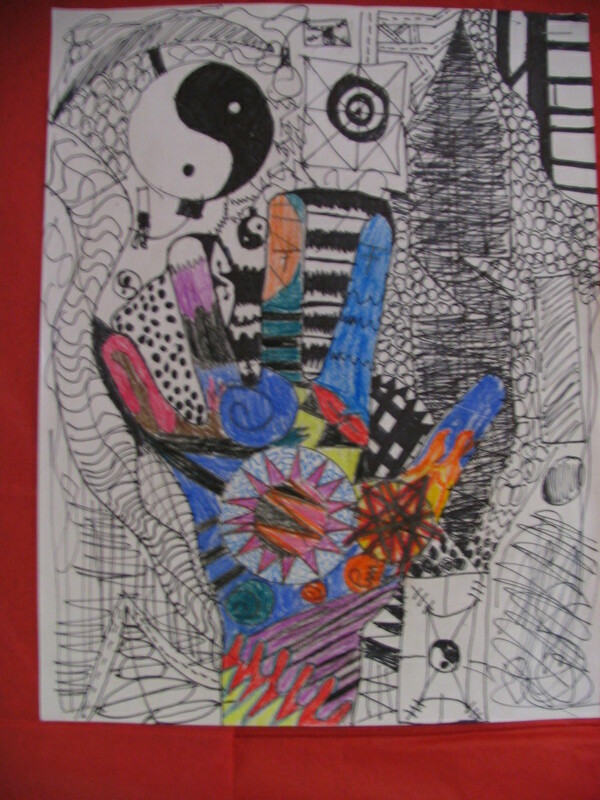 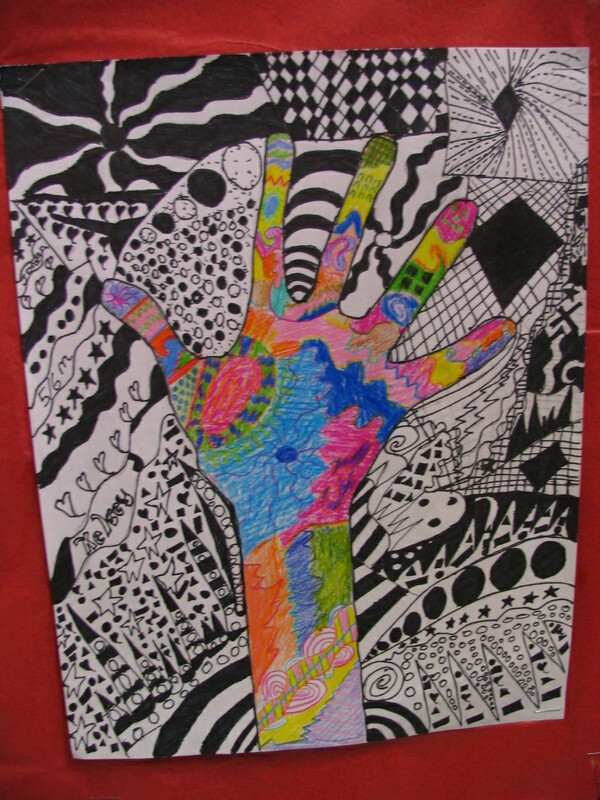 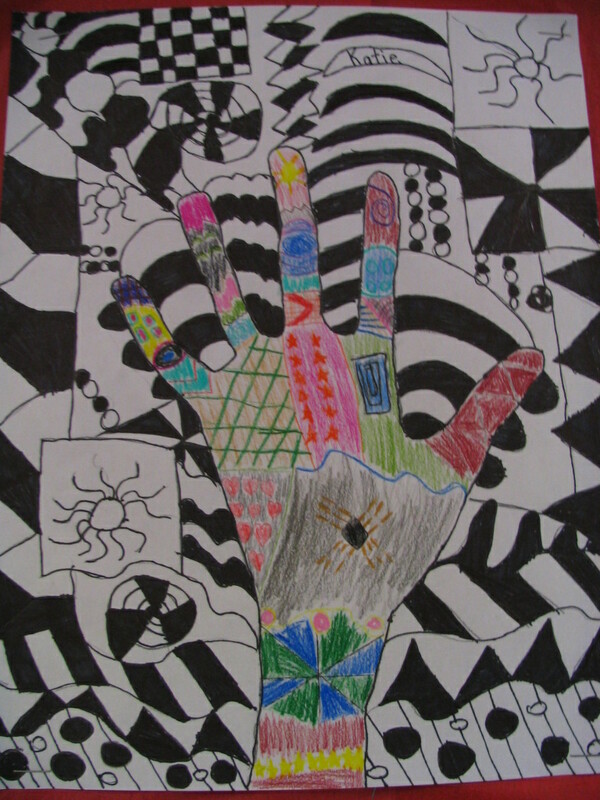 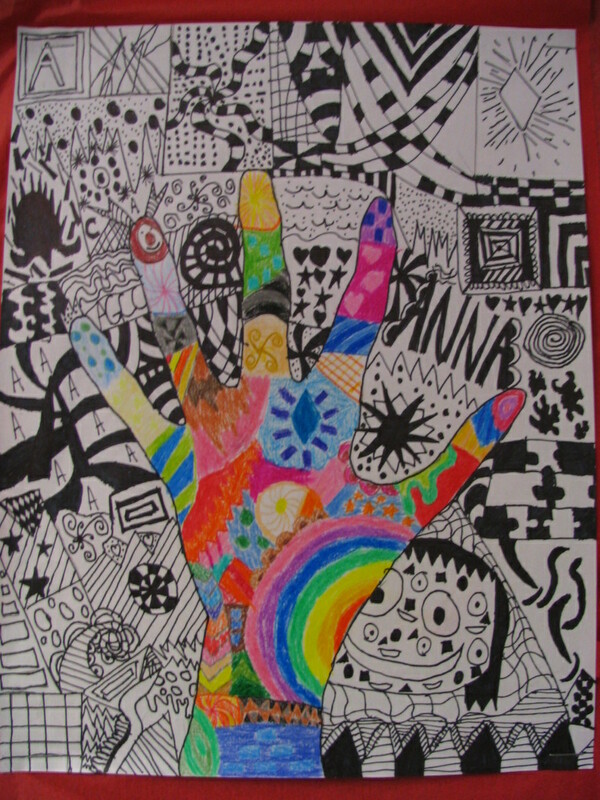 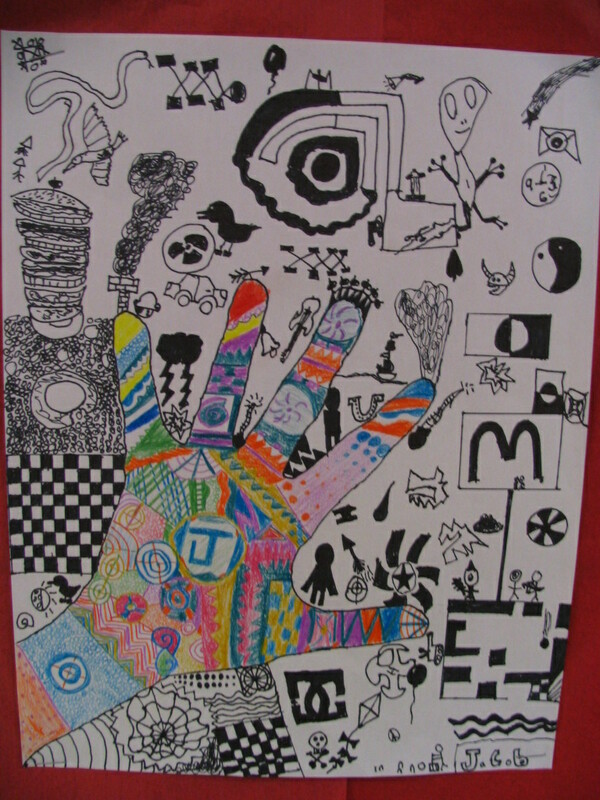 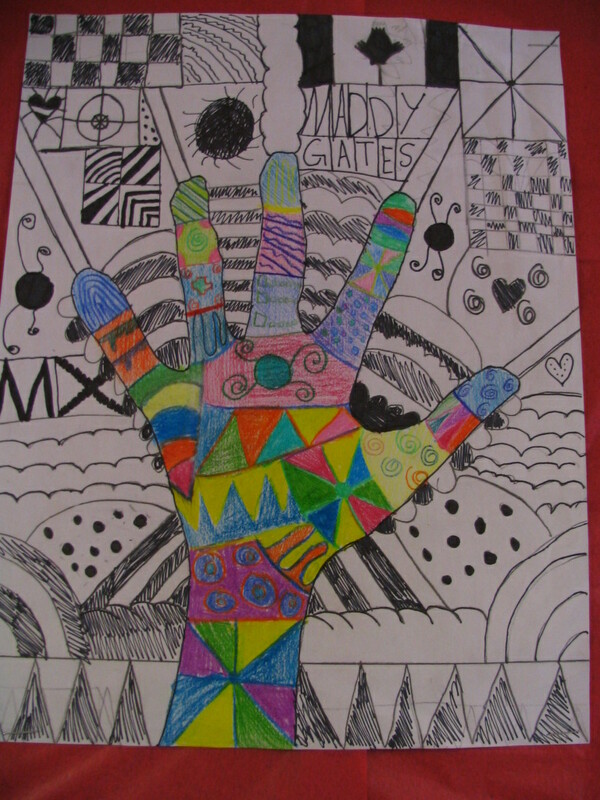 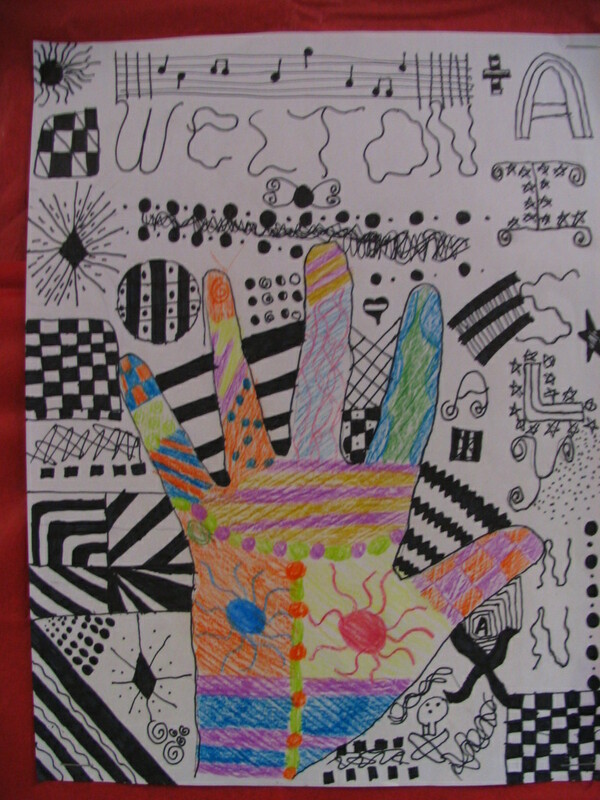 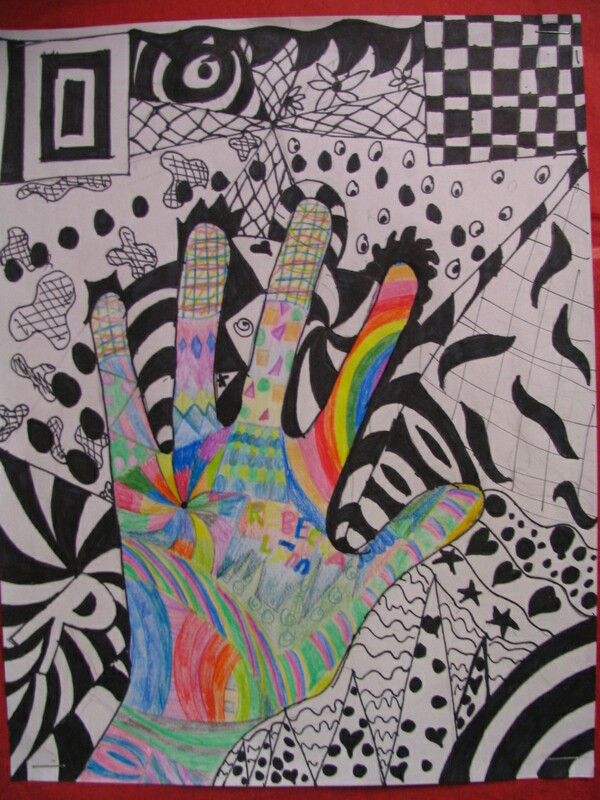 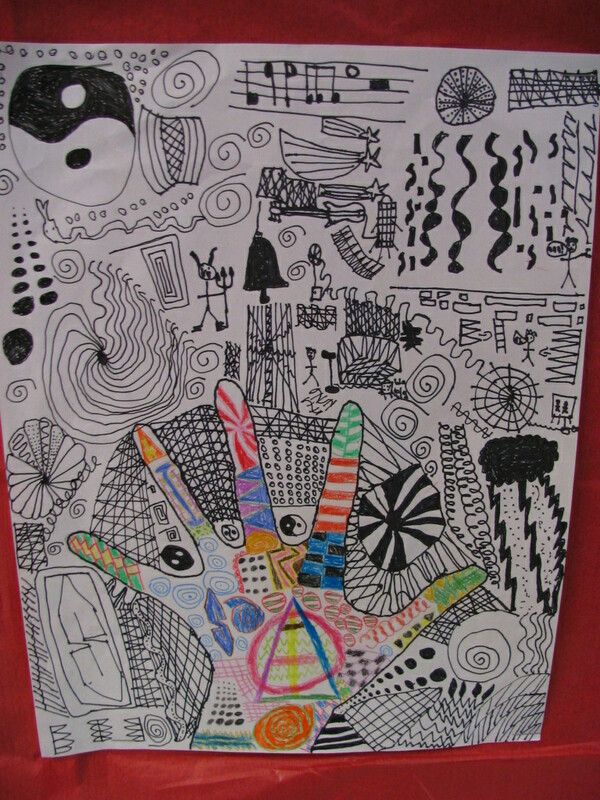 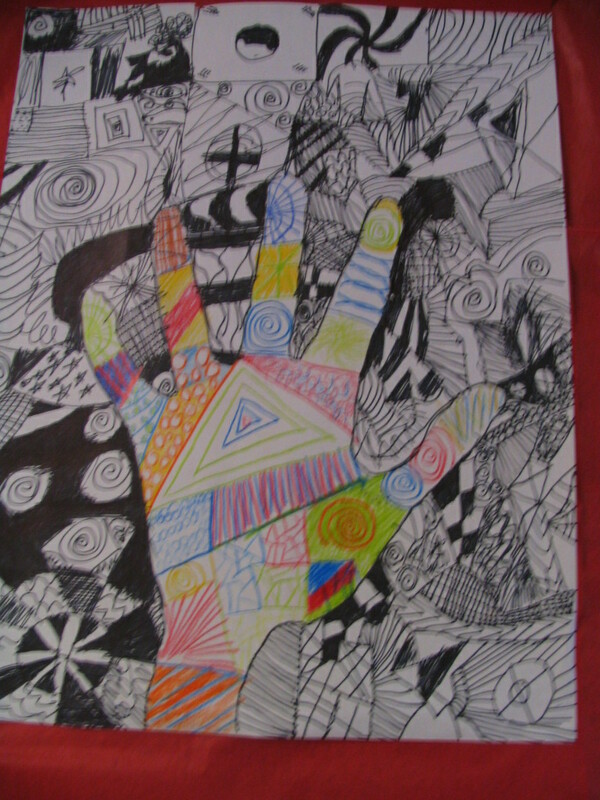 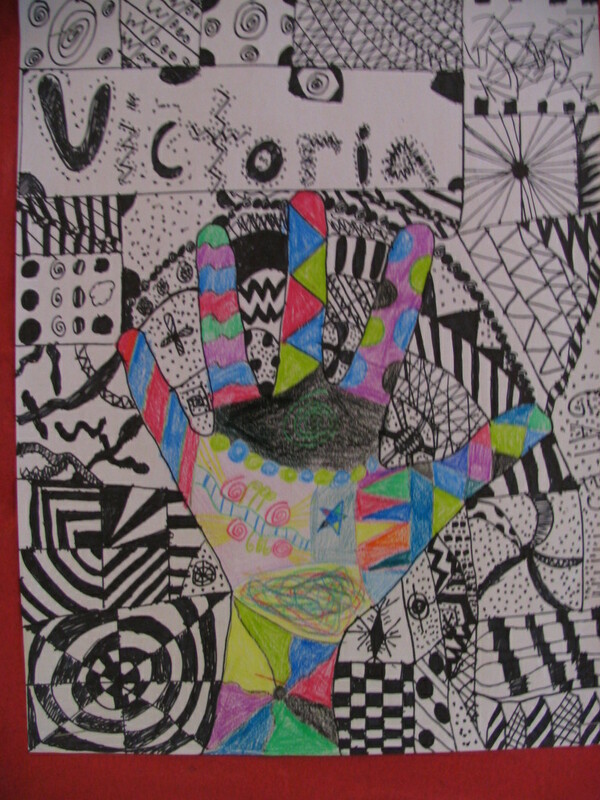 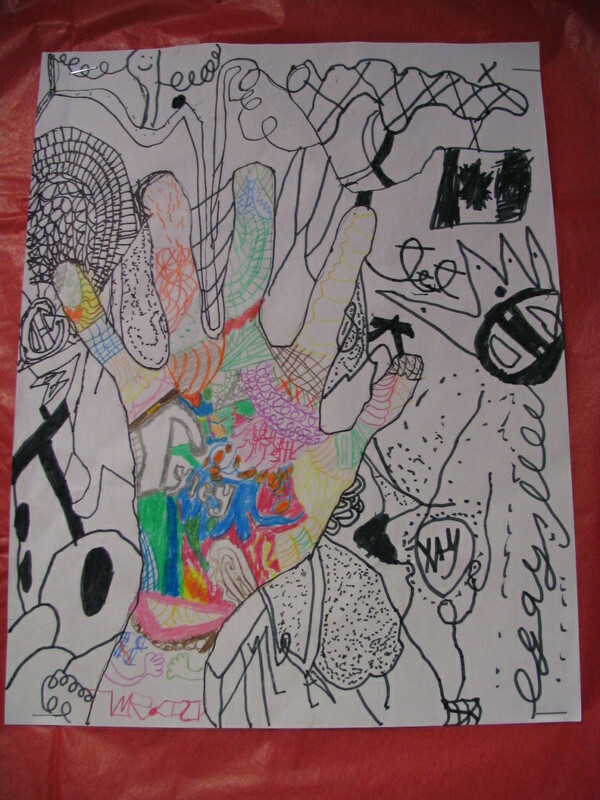 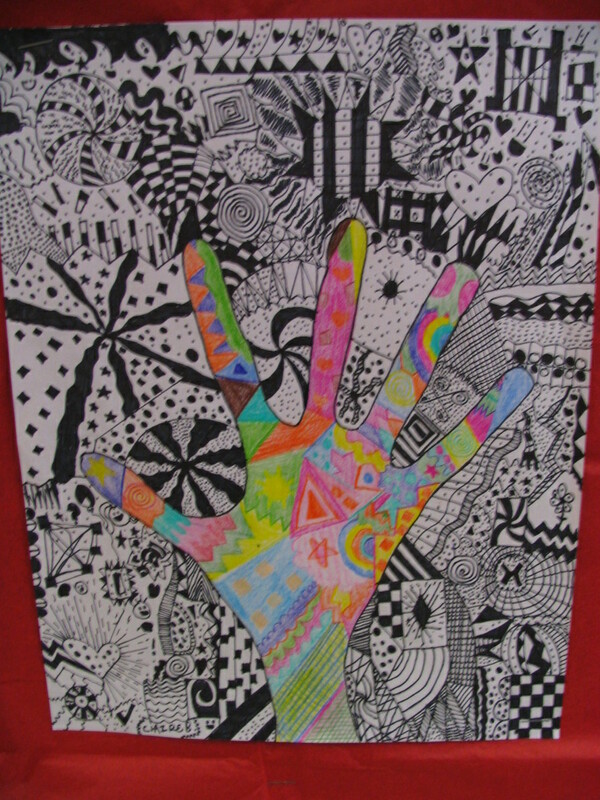 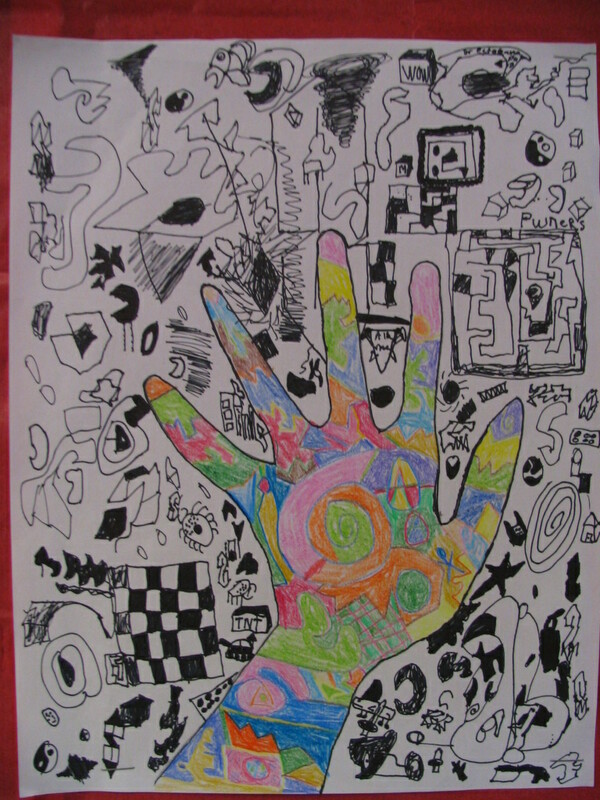 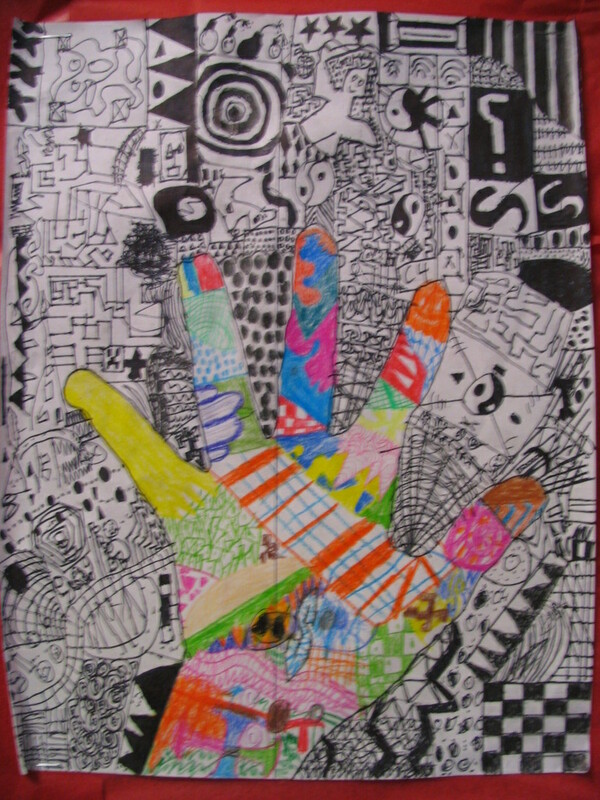 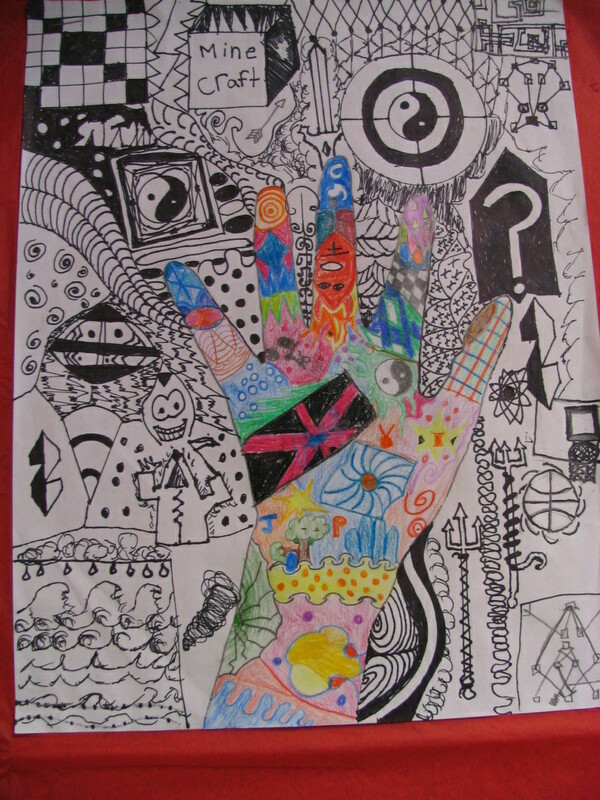 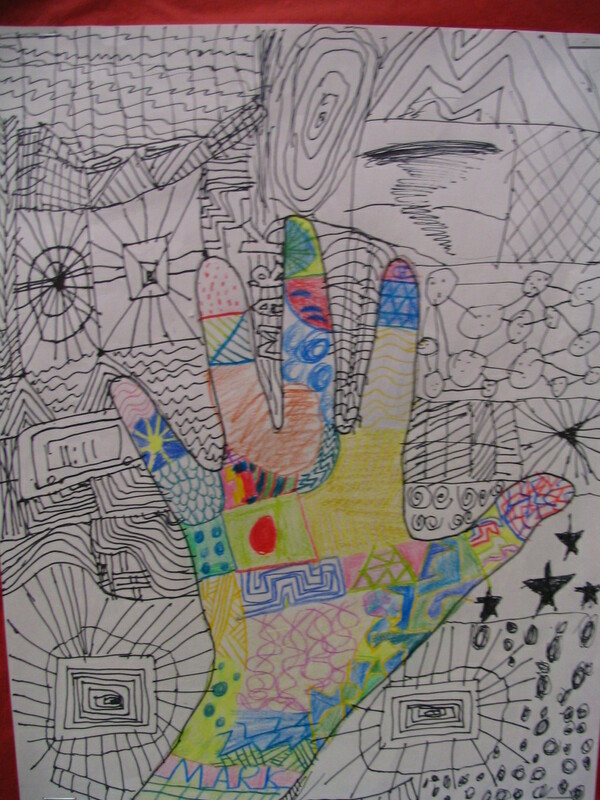 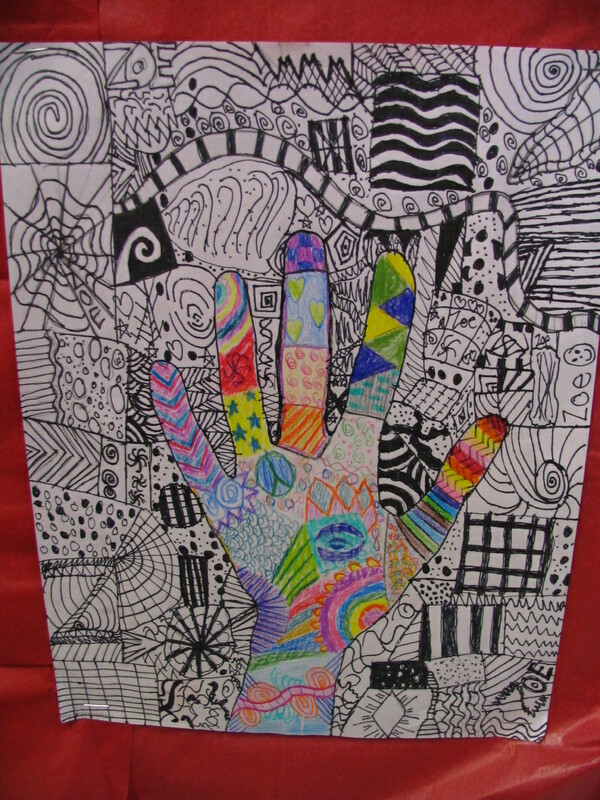 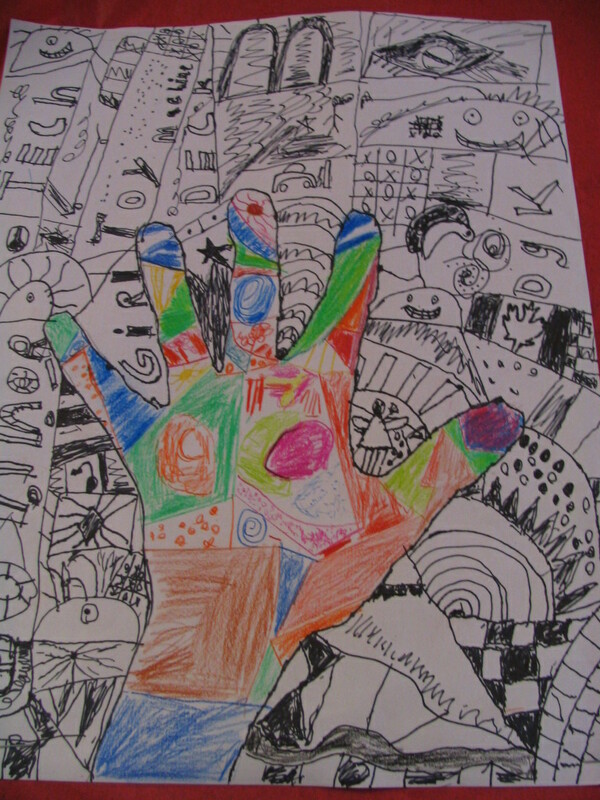 This art project involved using a variety of lines, designs, and colours. 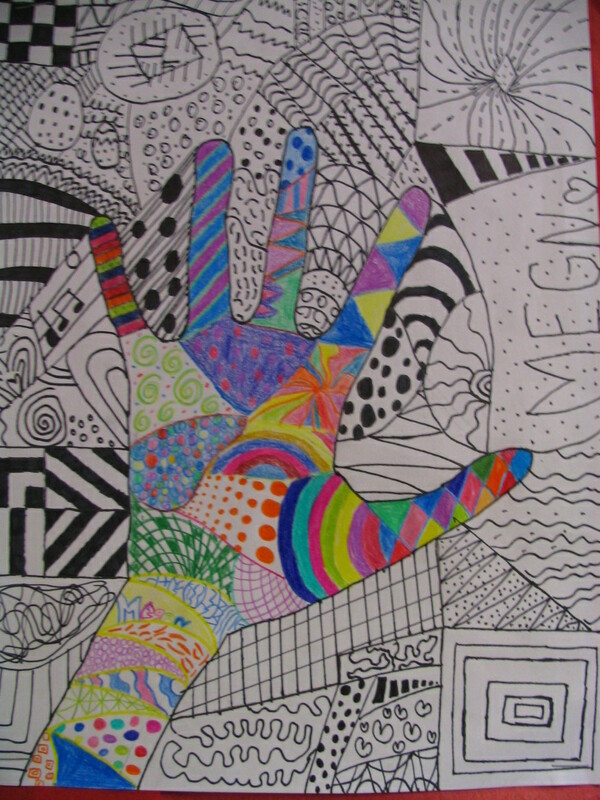 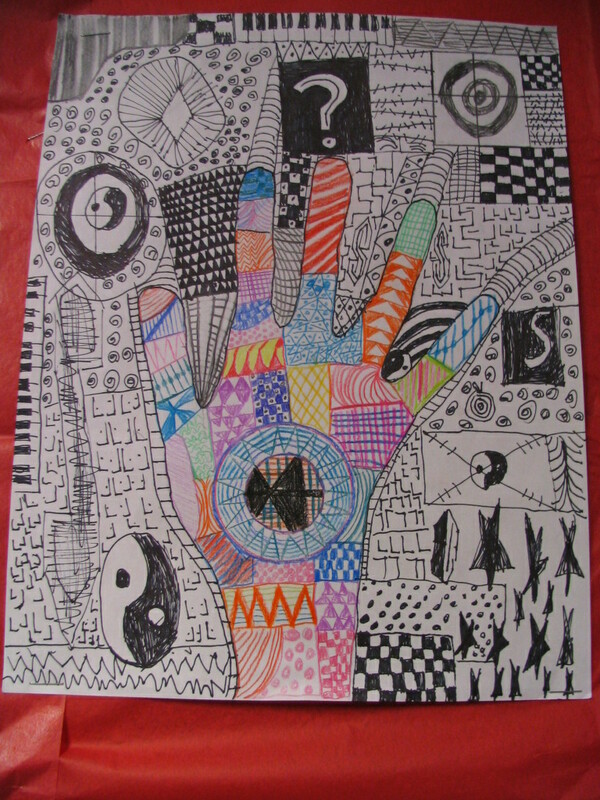 The outside portion was done with Sharpie markers in order to make the contrast more prominent with the hand section. 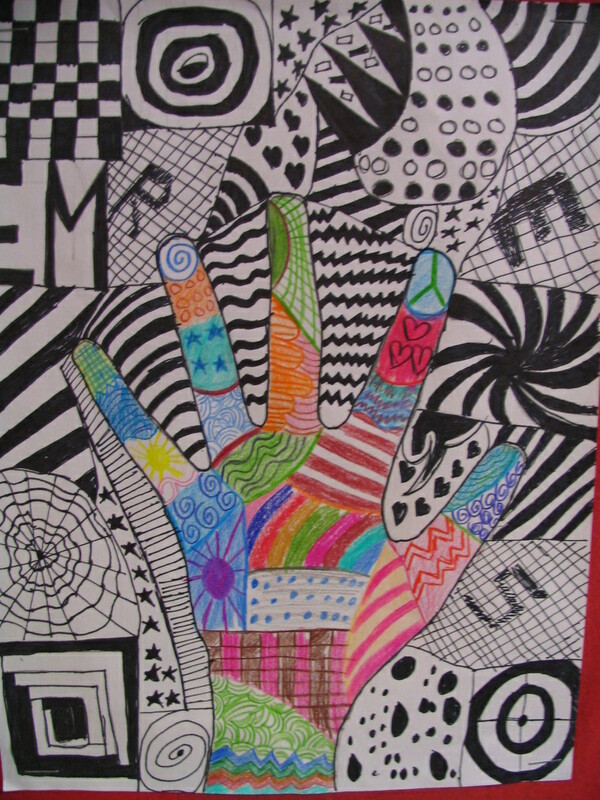 Special thanks to our class photographer, Emily!